It’s no surprise that running is a huge part of my life. Going from a middle-distance runner to running two marathons in eight months was a huge transition for me — and an exciting one. I became familiar and comfortable with 10+ mile runs, with foam rolling for hours on end, for eating chocolate gu and mashed sweet potatoes on long runs (delicious), and wiping off the actual salt crystals on my cheeks while sitting in an ice-bath and eating a $3 turkey sandwich from the bodega on the corner. 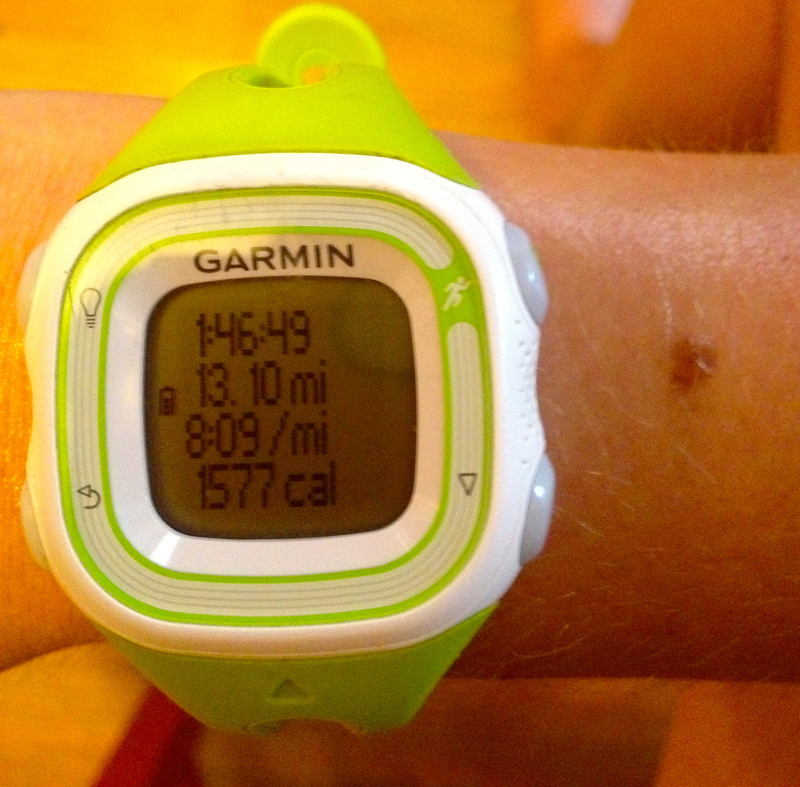 This summer was relentless, and I avoided long runs at all costs. So with the flip of the calendar, I woke up bright-eyed at 7am last weekend and thought with a few extra AM hours and the cooler temps, I could head out for a long, comfortable run. I ended up running 13 miles, which was actually a perfect route from my apartment: over to Long Island City, over the Queensborough bridge, and down the east river all the way to the Williamsburg bridge and back home. My pace wavered right under 8:10 the whole time, and I felt steady, relaxed, and pretty strong. That said, the run wiped me out for the rest of the day. I rotated from reading in bed, hopping on my computer, cleaning a bit, eating, and napping – all for about six hours. I tried to gather energy to do laundry or go for a walk, but I couldn’t. I got in the shower and my body began stinging like crazy from the stupid chafing (under the arms was a new one for me) and I was frustrated and in pain — a solid 13 mile run turned me into an uncomfortable, sore blob for the rest of the day. But even with the “bad,” there is something kind of magical and crazy about endurance training that is hard to put in words. I haven’t been in this “world” very long, but I’ve definitely gotten a taste of it. When comparing the pain between long and short distance running, on long runs there’s this constant, dull pain that quietly sits under my muscles, in my chest, and on the bottom of my feet. I do whatever I can to distract myself from it (since hey, I still have six miles to go), and the run turns into a thought-fest from what I want for dinner to how I’m going to change the world. On the track, I completely zone into my body in a sort of ‘zen’ way. It’s all about being in the present moment, which is easier when you know you’re only running for a few minutes (or less) at a time. It’s easier for me to find a quick rhythm, to lock into my form, to feel my stride, and to almost give into the pain: a burning, lactic-acidy type of discomfort. The pain is sharper and harder to break through (no thinking about dinner during a 400m repeat), but it almost feels more rewarding when you finally cross the line, having finished your last set, having only a cool-down and some stretching between you and…tacos. 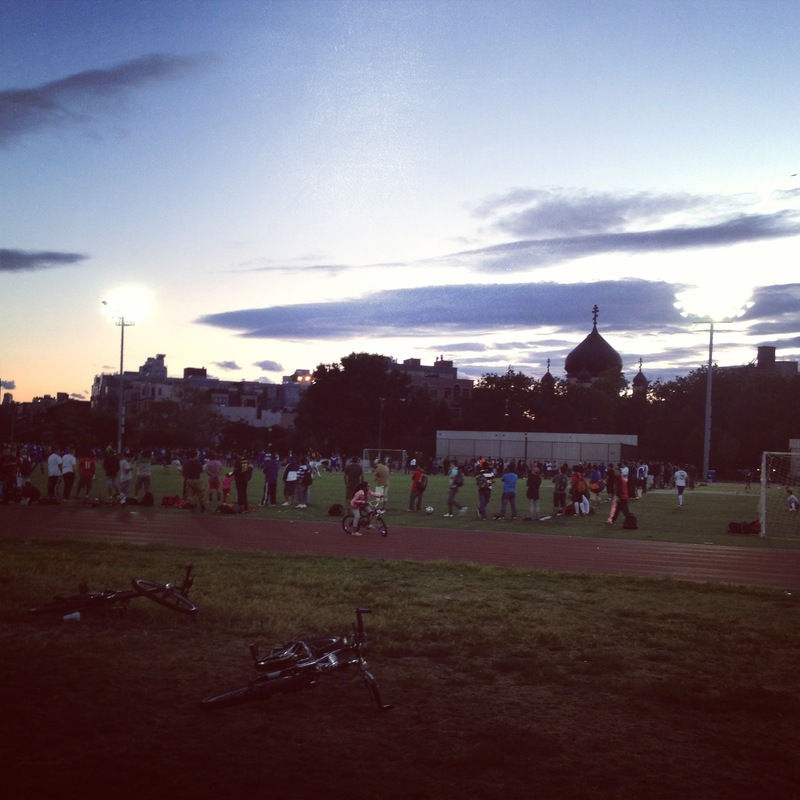 On top of it all, I feel like the McCarren Park track is the closest thing that feels like ‘home’ here in New York City. I share my apartment with my roommate, my office with co-workers, and the subway with everyone and their dogs/cell-phones/Magnolia cupcakes. And while the track is most certainly public, it’s also insanely private – and a place for solitude. Nobody is really paying attention to what you’re doing; it’s this weird mix of community and detachment, and a place that I feel is truly ‘mine’ even with so many other people around. It’s the one place where I can look around and truly love this city — while I run round and round, every step solidifying my love for the sport that gives me so much.